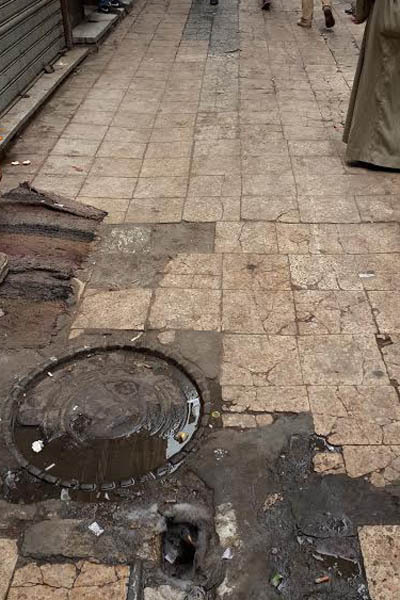 Egypt's Ministry of Antiquities has started renovation of the ground of Khan Al-Khalili Street and Al-Sanadekiya area in Historic Cairo with a budget of LE5 million provided in collaboration with the Ministry of Tourism. Minister of Antiquities Mamdouh Eldamaty announced that the renovation works will last for 18 months and come within the framework of the Historic Cairo Restoration Project started in 2002. 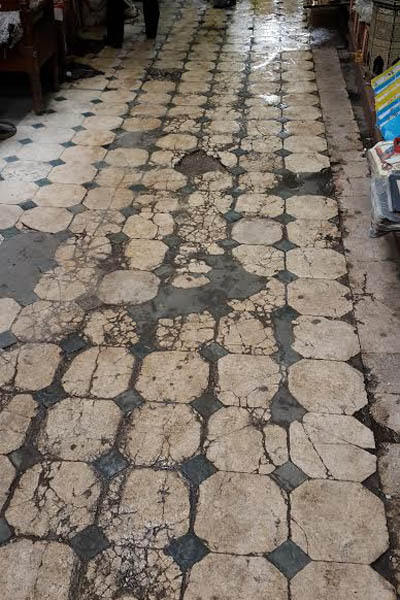 Mohamed Abdel-Aziz, assistant to the minister of antiquities for Islamic and Coptic antiquities, told Ahram Online that the old tiles on the street, which are now damaged, will be removed and replaced with a new ones made of basalt. New inspection rooms for the area's drainage system will be established in order to monitor and control any leakage of drainage water. Khan Al-Khalili Street was originally the site of a mausoleum known as Turbet Al-Zaafaraan (Saffron Tomb), which was the cemetery of the Fatimid caliphs. During the 14th century AD, when the first Circassian Burji Mameluk Sultan Barquq ruled Egypt, Amir Jaharkas Al-Khalili, Barquq's master of stables, destroyed the Fatimid cemetery and erected instead a large caravanserai known as Al-Khan (market) in order to meet Cairo's great economic activity as many commercial and religious buildings were constructed at that time. The Khan was a large building housing merchants and their goods. Several sultans, like Qayetbay and Al-Ghuri, built commercial establishments near the Khan, which fast became a buzzing economic and commercial zone. During the late 15th century, the district around Khan Al-Khalili became a major centre of foreign trade, which included the sale of slaves and precious stones. 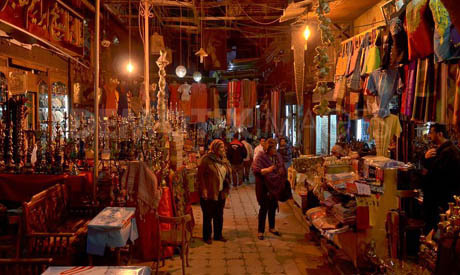 Today, Khan Al-Khalili continues to be one of Egypt's authentic markets where a number of shops are found selling souvenirs, antiques and jewellery, alongside traditional workshops that continue to operate in the surrounding area and the goldsmiths' market. Several folk coffeshops and restaurants are also found there. Among the most well-known coffeshops are Al-Fishawi and Naguib Mahfouz, named after the renowned Egyptian author and 1988 Nobel Laureate.